The Waikiki Aquarium will be on the right-hand (beach/ocean) side of Kalakaua Ave. Parking is available through metered street parking on the left-hand (park) side of Kalakaua Ave. A very limited number of free parking stalls are located in front of the Waikiki Aquarium entrance. 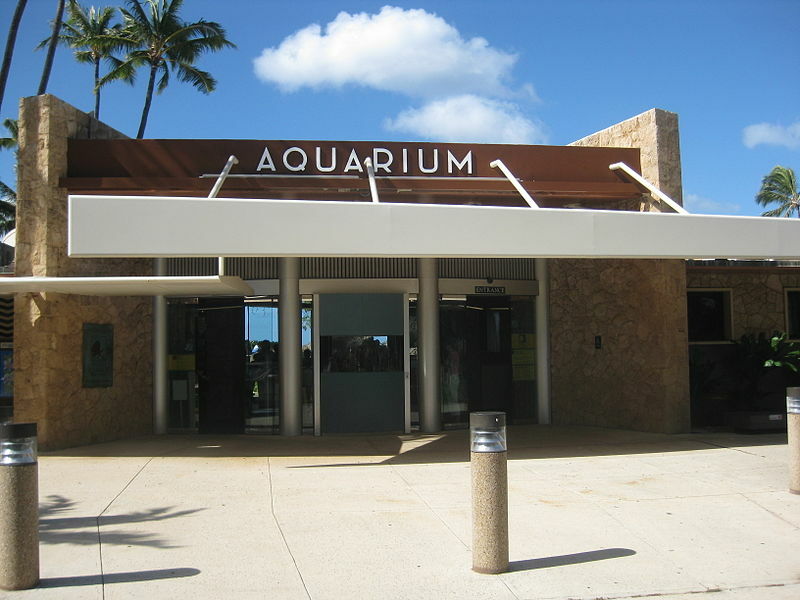 Those stalls are available only to visitors of the Waikiki Aquarium and are restricted to 1-hour. Driving from the East part of Honolulu to the Aquarium on H1 Westbound Take exit 25A - King Street Stay in left lane (less than 0.1 miles) Immediate sharp left onto King St. (less than 0.1 mile) Stay in second lane from the right (about 0.1 miles) Turn right onto Kapahulu Ave. (just past Market City Shopping Center) Drive South on Kapahulu Ave. (about 0.8 miles until reaching ocean) At the T junction, turn left on Kalakaua Ave. (about 0.3 miles) The Waikiki Aquarium will be on the right-hand (beach/ocean) side of Kalakaua Ave. Parking is available through metered street parking on the left-hand (park) side of Kalakaua Ave. A very limited number of free parking stalls are located in front of the Waikiki Aquarium entrance. Those stalls are available only to visitors of the Waikiki Aquarium and are restricted to 1-hour. Located next to the living reef on the Waikiki shoreline, the Waikiki aquarium brings guests “face-to-fin” with tropical fish, sharks, living corals, seals, jellies, octopus and more! They have over 3,500 marine animals in there exhibits, representing more than 500 species of aquatic animals and plants. check website for special events and holiday hours. Would you spend $30,000 for a fish!?! The Waikiki aquarium thought it was worth more apparently, because they turned down the offer. Find out why in this video of a unique Peppermint Anglefish that is on public display at the Waikiki Aquarium. Whether you are sightseeing or hanging out at the beach, be sure to schedule time for this aquarium.